We are movements and organizations calling on the Association of South East Asian Nations (ASEAN) to add its voice and heed mounting international calls for an immediate stop to the continuing attacks on the Kachin people in Burma. 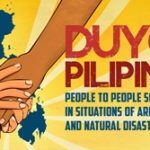 The Asia Pacific Solidarity Coalition (APSOC) and the signatories below urges all ASEAN governments to end its silence on the humanitarian challenges happening within its own backyard and compel the Burmese government to stand down and stop the violence it is perpetrating in Kachin state. Air strikes in the ethnic state were reported to have begun a few days ago. As this situation unfolds into a grave humanitarian crisis, the ASEAN governments are obliged under its own Charter and international laws to address systematic human rights violations that occur even outside their own territories. The displacement of around 75,000 people since June 2011 and deaths of around 300 people during the last air strike in the northern states of Kachin and nearby Shan must be condemned. The Kachins have long been disenfranchised economically and politically, and have been suffering from poverty, sexual violence against women and children, forced labor, extra judicial killings, among others. It is time that their miserable situation is addressed head-on. As the so-called reformist Burmese government continues to justify its acts of violence by claiming that their military action was done in self-defense, ASEAN governments should take a more proactive position in joining the call of the international community to pressure the Burmese government to cease and desist further military action that would only intensify the conflict and inevitably result to widespread human rights abuses in Burma. ASEAN should also lead and seek the unimpeded flow of humanitarian assistance to the internally displaced peoples caused by the conflict. While it is imperative to tackle the immediate situation in Kachin, the only way to strategically resolve the conflict is if the demand of the Kachin and ethnic peoples for genuine political dialogue and recognition of their ethnic rights and identities are heeded. We call on all humanitarian institutions, peace-loving individuals and the global solidarity movement for Burma to support the call for peace and ethnic rights of the struggling peoples of Kachin and the rest of Burma.